Google CEO Eric Schmidt said that that the company has plans to extend search to searches the user doesn’t type themselves. 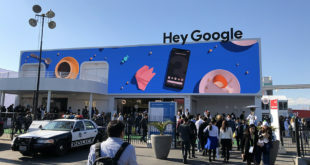 Speaking at the TechCrunch Disrupt conference in San Francisco, Schmidt described an evolution of the idea of Google Instant, where the search giant suggests searches by just typing partial queries. Schmidt invisaged a search engine that was automatically performing relevant searches such as looking at a mobile phone to see information physically close by. Schmidt said that the IT industry is gradually becoming an "augmented version of humanity" so that computers help human beings do what they are not very good at and vice versa. In a familiar take on the idea of a computer telling you what you want to know and not what you asked for, Schmidt said that company would like to be able to work out if, by asking about the weather, you were asking if you should wear a rain coat or water the plants. “We can with improvements in algorithms, more information, with your permission, and so forth. We can get closer to answer the question that you really asked,” said Schmidt.